Coming soon! 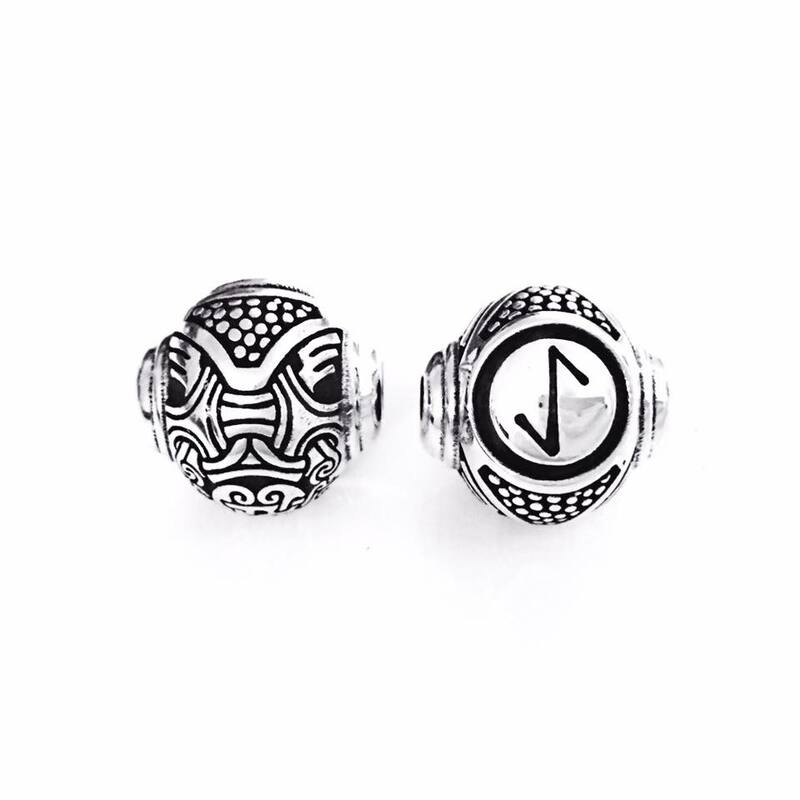 Faerybeads Elder Futhark Runic Alphabet. The rune ᛇ (transl. ï or æ) stood for "yew (-tree)". The rune is sometimes associated with the world tree Yggdrasil, which, imagined as an ash in Norse mythology, may formerly have been a yew or an oak. ᛝ Ingwaz (Proto-Germanic, transl. ŋ). In Old Norse Yngvi, Old High German Inguin and Old English Ingwine are names that relate to a theonym which appears to have been the older name for the god Freyr. ᛋ Sōwilō (Proto-Germanic, transl. s) means "sun". It appears as Old Norse sól, Old English sigel, and Gothic sugil. ᛞ Dagaz (Proto-Germanic, transl. d) means "day". ᛇ Eihaz (Proto-Germanic, transl. ï or æ) stood for "yew (-tree)". ᚺ Hagalaz (Proto-Germanic, transl. h) meaning "hail" (the precipitation). ᛈ Perþaz (Proto-Germanic, transl. p) is believed to refer to "pear (-tree)". Oh wow... my wallet is doomed! I saw this on Facebook when I had limited coverage...WOW!!! So hard to choose! I love these beads but they are a bit too big for me. I would love Rune beads the size of the old Trollbead block letters. @Blairkj wrote: I love these beads but they are a bit too big for me. Since I have written a book called „Hagalaz“, I will nevertheless get a Hagalaz-Rune at some point And still, smaller runes would be a most wonderful thing! I agree, a little big for me, but still beautiful! Noted. 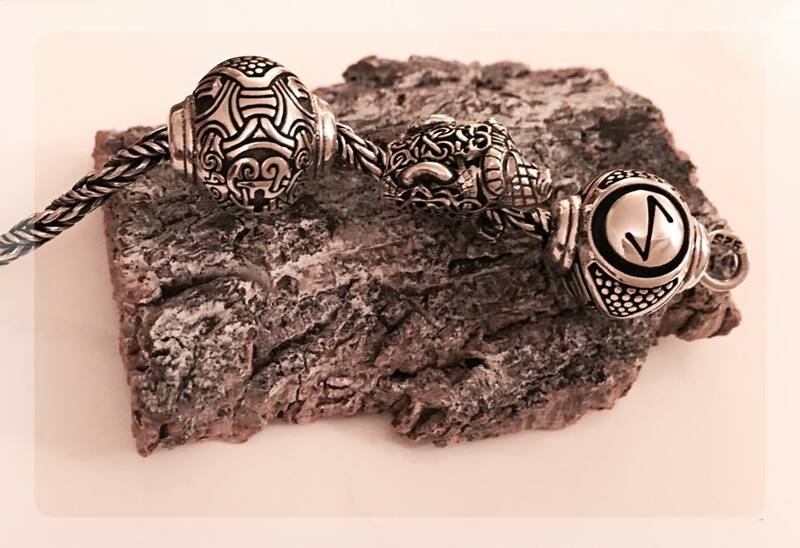 Though these have the same outer diameter as glass beads, they're a solid 9grams silver. 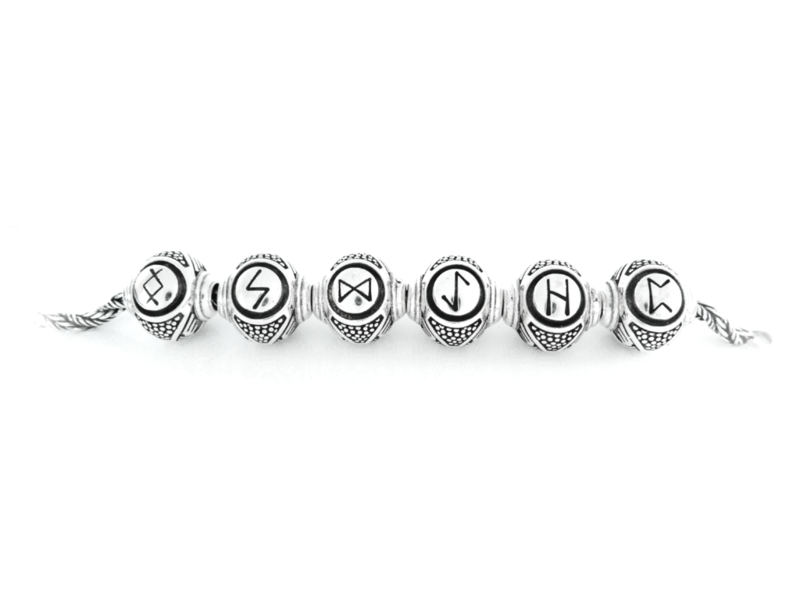 Sporting all runes on (a) bracelet(s) would save you considerable time at the gym. We'll be adding new Runes over the next few weeks.